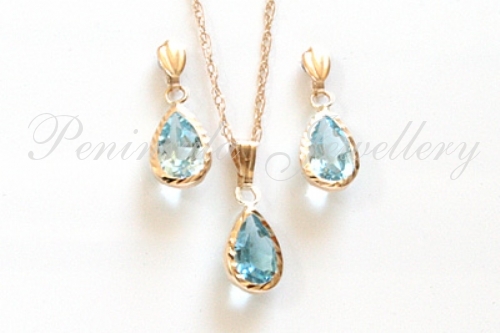 Earrings: two 8x5mm pear cut Blue Topaz gemstones, set in 9ct gold with scallop fronted posts and butterfly backs. 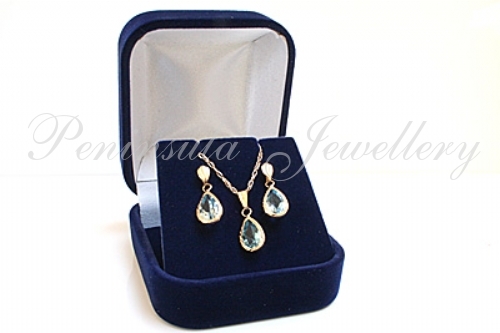 Each gemstone is .41ct. Dimensions: 17mm drop, 7mm wide at the widest point.